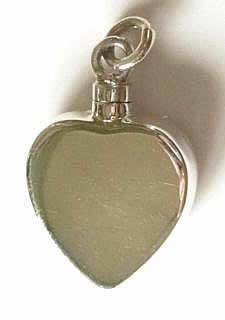 Ideal for engraving, this silver, screw top locket for ashes/keepsakes/hair is 6mm deep, 29mm long including the bail and 17mm wide. It is sold with an 18" silver chain. The filling hole is about 2.5mm across.